One of the challenges with getting a CSA is figuring out what to do with things you normally wouldn't pick up on a regular grocery run. In our last CSA pickup we got some beets and I've never actually cooked a beet in my life. I've eaten beets before, on the occasion, but never has a beet found it's way into my personal kitchen. I was excited though, because on the rare occasions when I have had beets, I've enjoyed them. I had the makings for hummus laying around and decided to make hummus, but I usually like to figure out a new variation on hummus each time I make it just because it's fun. I peeked in my fridge and saw the beets and thought that beet hummus sounded like something that might be a thing. 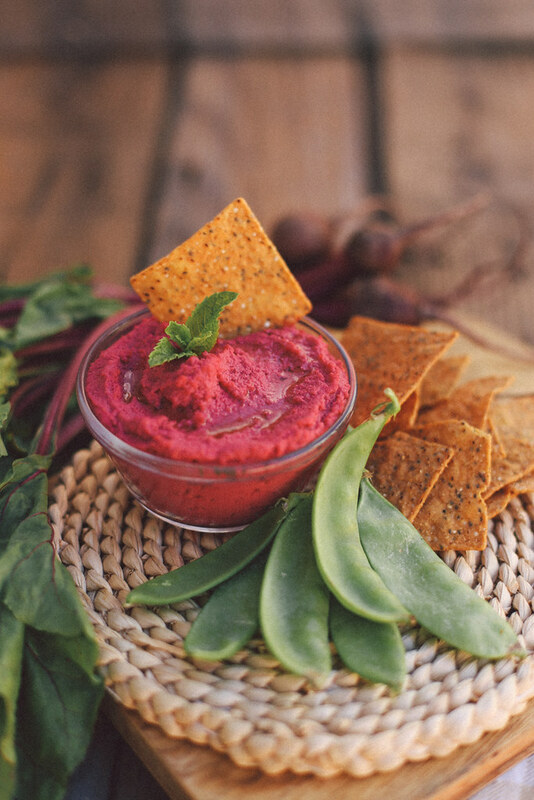 After some googling I saw that people have indeed made beet hummus, and it looked like a really fun hummus variation due to the nearly neon shade of fuchsia that results. 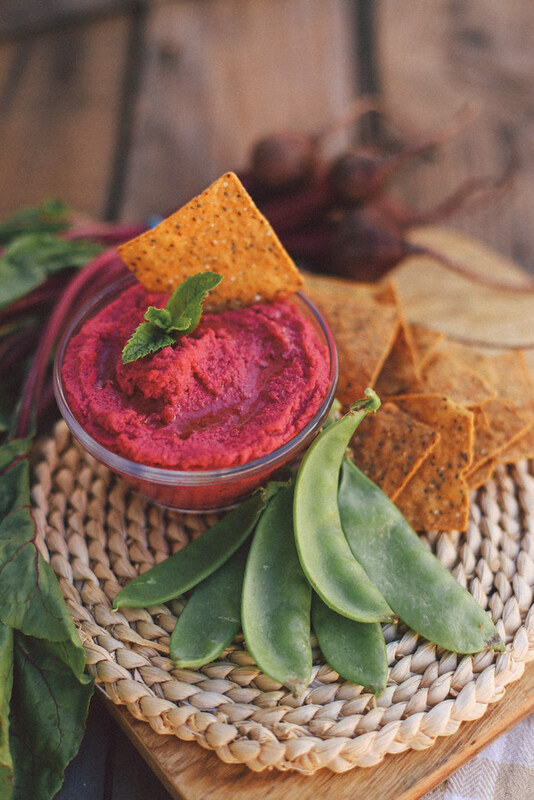 This hummus variation takes a bit longer to prepare, because you'll want to roast the beet beforehand which takes about 45 minutes to an hour, and then you need to cool it down after that. But that color is just so incredible. 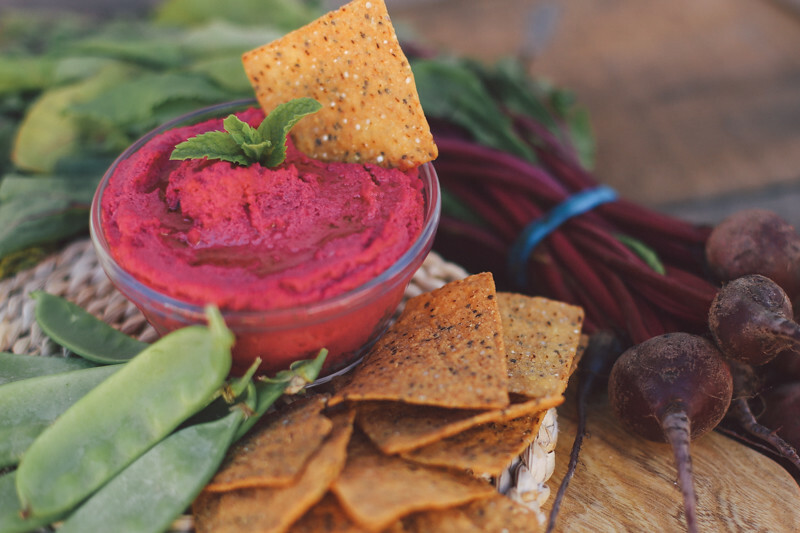 The beet doesn't seem to imbue a hugely strong taste to the hummus, but it's definitely a delicious hummus. I enjoyed it with some sweet potato tortilla chips as an appetizer and I'd like to add it to a wrap too! 1. Prepare the beet by wrapping it in foil with a bit of canola or olive oil and roasting in a 350º oven for appx 1 hour, or until a fork easily slides into the beet. Once cooked, cool it completely in the fridge. You don't have to peel the garbanzo beans but if you want to (it makes for a smoother consistency), do so while the beet is cooking and cooling so you're ready to go when the beet is! 2. 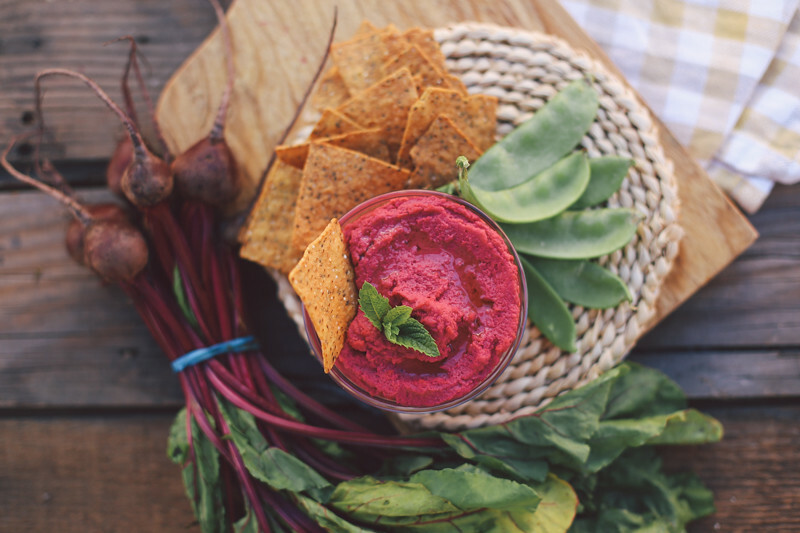 Once the beet is cooled, peel and quarter it and place it in your food processor, blending until it's in small bits. 3. Add everything else, except for olive oil, to the food processor and blend until you reach a smooth consistency. Add the olive oil gradually as you mix. 4. Taste and adjust the seasonings as you like! If it's not smooth enough, try adding more lemon juice or olive oil. The hummus will keep in the fridge for about a week. Enjoy!